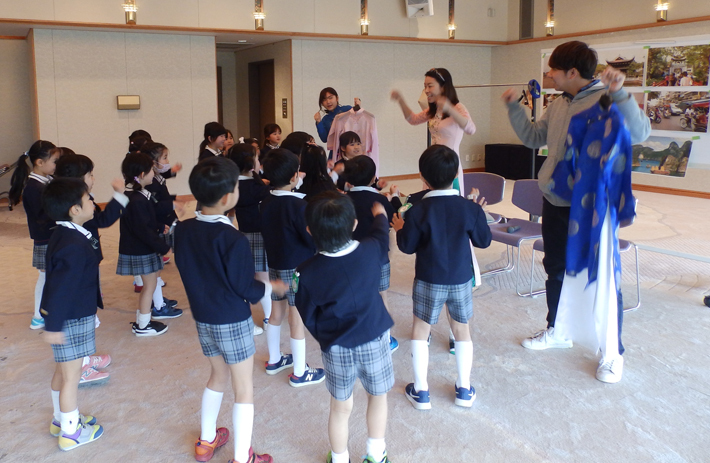 Kokoka conducts field trips for visitors to learn more about our facilities and activities. If you take this opportunity, we hope you will better feel and understand the environment surrounding foreigners living in Kyoto. All sorts of people, from kindergarten age to adults, can participate in these events. Lecturers for this program are citizens and students from foreign countries who are living in Kyoto City. You can be next! We welcome your visit. Please call us first to participate in this event. * Depending on the contents of the program, a lecture fee is required (\5,568 including tax withholding per lecturer).